Begin in Dandasana (Staff Pose). On an exhale, lean back slightly and lift your legs from the floor. Keep them "stiff as a poker with the knees tight and the toes pointing forwards." Balance on your buttocks. 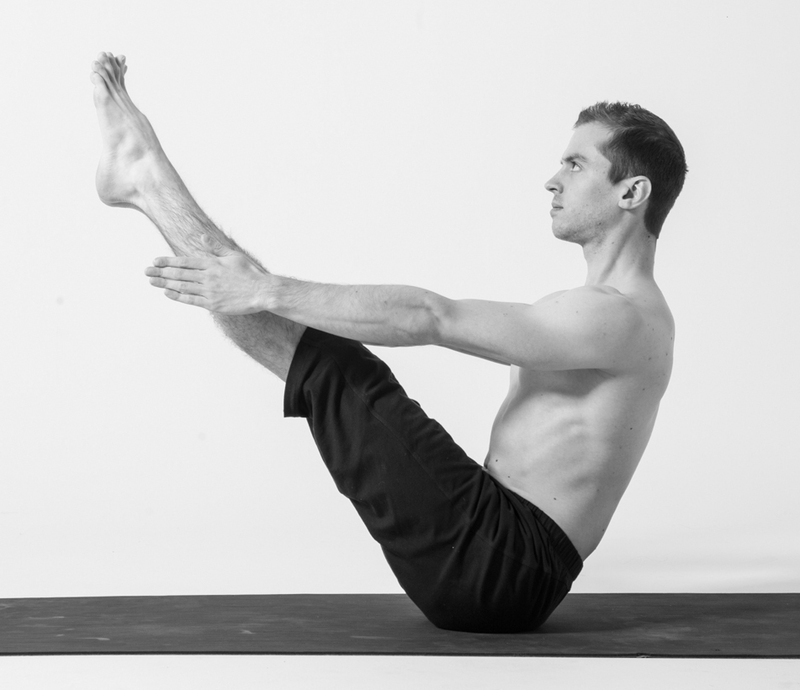 Attempt to lift your legs to an angle of 60-65 degrees, with your feet higher than your head. Stretch your arms straight forward, parallel to the floor and just outside your thighs. Turn your palms to face in. Remain in this pose for 30 seconds. Gradually increase to 60 seconds. 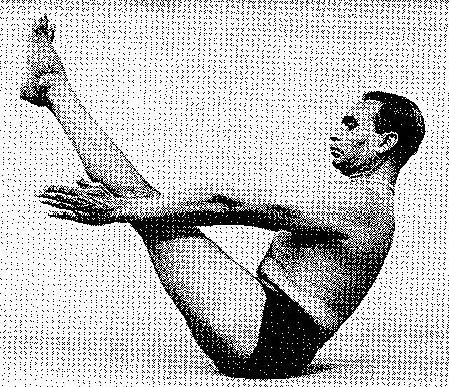 Iyengar's arms are parallel to the floor, as his instructions dictate. My hands are slightly higher than my shoulders. My proprioception in my arms must have been slightly off! My gaze is on my feet. Iyengar's gaze is more internal and downward-focused. Many teachers will tell you that you must not round your back at all in Navasana. However, it's worth noting that while Iyengar's back is not excessively bowed, he's not strongly maintaining his lumbar curve either. In my mind, this indicates that he is focused more on abdominal bracing: co-activating all the muscle sheaths that surround the abdomen and lower spine. It's less about the perfect shape, and more about a balanced-enough shape to permit effective muscular recruitment and activation.